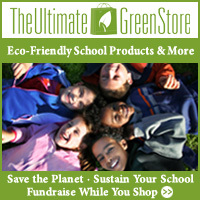 One of the best ways to live a more eco friendly lifestyle is to get rid of toxins in your home. The fewer toxins you use, the fewer get into the environment. It’s great for you and your children too. 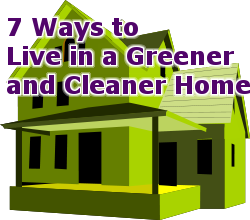 Best of all, a greener and cleaner home doesn’t have to cost a lot. Pesticides don’t just kill bugs and rodents. They’re not good for your kids or the environment in general. I know very well how nice it is to have a great looking yard and home, but there are alternatives to pesticides. Indoors, keeping things clean will take care of most pests. They don’t stay where there’s no food for them. Ants may be discouraged by spraying white vinegar to remove their scent trail or by placing bay leaves or cloves near where they come in. Yeast mixed with sugar and molasses can be used to kill ants. A fly trap with a couple inches of apple cider vinegar and a quarter teaspoon of sugar can catch and kill flies. Mice can be more difficult to handle. A cat can do the job pretty well if you’re up for a pet. Traps also work, and there are humane traps for those who don’t want to deal with dead or injured mice. I don’t like glue traps, however, as the mouse can suffer quite a bit on those, as they may injure themselves trying to get free. There are also plug in repellers you can try. This may not work all year, but when you can, open your windows for a while. In summer, we wait until evening or even after sunset, when the air flow is really nice to have. Not only does this help to clear the air in your home, it may even help cool it if you choose the times right. You might be able to run your air conditioner less if you learn to appreciate your evening breezes during warm weather. No need for air fresheners with questionable ingredients. Indoor plants make your home look nice and help clean the air inside your home. I like my orchids, but there are plenty of other wonderful houseplants you can choose. In general, plastic isn’t good for you. Many types can release toxins over time. Use it as little as possible. There are plenty of alternatives, such as stainless steel water bottles rather than plastic ones, and glass or ceramic dishes rather than plastic. That said, there’s only so much you can do sometimes to avoid plastic. Just keep it down as much as possible. Most convenience foods really aren’t that good for you and your family, containing many additives and preservatives. Try to cook for your family when you can. It doesn’t have to be complex or fancy. You can make this easier by preparing some ingredients in advance. Some vegetables will stay good even after being chopped for a few days, which is helpful if you have limited time for food preparation. It also makes them more available for snacks if you prepare ones your family enjoys. That would be bell peppers for my youngest, for example. Try to eat more organic foods when you can. At the very least, be aware of the “Dirty Dozen” fruits and vegetables that tend to be the most contaminated by pesticides. These are the most important ones to try to buy organic rather than conventionally grown. Cleaning supplies can release a lot of toxins in your home. Fortunately, it’s easy to clean with much safer products. Baking soda and vinegar will clean many surfaces, either on their own or mixed together. I also like citric acid for cleaning. Steam cleaning works well also. We use a steam mop on our tile floors rather than your standard cleaning chemicals. Our current one is a Eureka Enviro steam mop , and it does a great job using only water. One of these days I’d love to get a more general purpose steamer for other surfaces. So many personal care products are filled with chemicals you really don’t want your skin to absorb. If you want to avoid toxins, it’s better to use simpler products. I like the no-poo method of washing my hair, for example. A good resource is the Skin Deep database. They review a wide range of personal care products and rate them for safety. Care2 offers some good tips on ingredients to avoid.